I was referred to them by one of our mutual clients and all I can say is that they delivered on every front. Great service, very understanding and friendly team. I got an end product that exceeded my expectations and at a very nominal cost. Highly recommended. Ephraim and his team are wonderful. No task is too difficult and they always deliver an excellent product in a timely manner. Communication is their strong point, continually checking to see if you are happy or if you need further assistance. They are incredibly friendly and a pleasure to work with. Thank you Web Design Market! Very helpful and great service. Always there for any question and great fast response times. Engaged Web Design Market for designing a website for my restaurant. It's been a long time in the making due to delay on my part. Ephraim and Chimzy have shown remarkable professionalism and patience. Final product is excellent. Price is competitive for the quality of work produced. Highly recommended. We used Webdesign Markets to revamp our website on the Magento 2 Platform. The final product was a significant improvement on our website. Within a week of the new website going live, our conversion rates increased. Both Ephraim and Yuvraj were easy to work with and also were very receptive to answering any questions that we had. They were very accommodating in marking sure that the website was changed on late Friday night / early Saturday morning, which ensured any negative impact of the change was limited. In addition, they have been very good once the website has been changed over, and making any smaller changes that we have requested them. Prior to agreeing to go with Webdesign Markets, I spoke with numerous other web developers and found that their price was very reasonable. In the past we have used web developers from overseas, however, that has resulted in substandard work due to communication barriers. Ephraim and Yuvraj were very happy to meet us numerous times, and even at our office, to discuss the project. We will be continuing to use their service into the future, and I would highly recommend them for anyone considering creating a website or upgrading their current website. Working with the team at Web Design Market has been great. They're extremely professional and have created a solid e-commerce website for my business. Really appreciative of their clear communication and quick response times. Thanks! WDM have recently completed two different web store design projects for our business. Ephraim and the team have been great to deal with. Very responsive and quick to action any requests or changes and with timely emails and follow up calls. Each stage was managed well, understanding our brief and delivering design and functionality to a high standard. Highly recommend Web Design Market for all your digital needs. They have helped us transform and improve our ecommerce website, going above and beyond. We fully trust Web Design Market with all our developmental and digital needs. 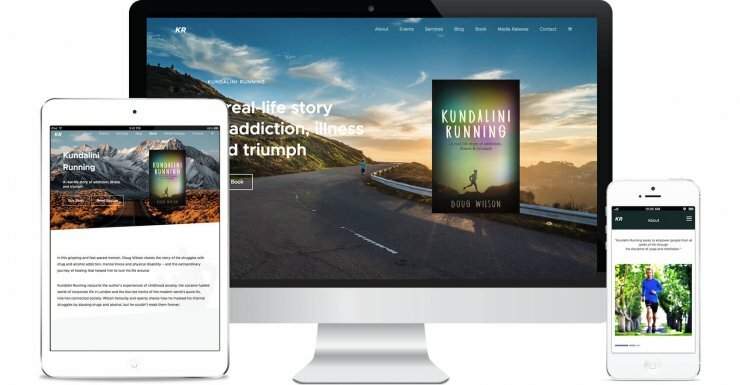 I approached Web Design Market to create a whole new website for me. I had never been a business operator and had no idea what i needed or what to ask for. Ephraim was incredibly knowledgeable, very patient and filled with ideas. Needless to say, created a remarkable website for me, that i am extremely pleased with. Yuvraj is the fix it man. He worked tirelessly behind the scenes to fix any concern i had. Yuvraj was always available and incredibly responsive to my queries. The design of my website has generated a great deal of enquires and fro this I highly recommend Ephraim & Yuvraj from Web Design Market to anyone who is building or rebranding their business website. The guys at Web Design Market have provided our company with outstanding service and achieved everything we set out to achieve with our website. They have maintained a good outgoing support to us and our queries. Highly recommend!! Unreal service provided by these guys. Very upfront, no funny business. Great continued support!! Especially after the run round after other web designers. Couldn’t commend higher regard for these guys!! The team @Web Design were really helpful in working through what we wanted... It sounded difficult in our heads... these guys made it easy..! The team at Web Design Market were professional and really look after you. Thank you for your patience and helping me find ways to grow my business. We are super impressed with Web Design Market. They have an amazing service with reasonable prices. We also appreciate their quick turn around times which they handled with professionalism. Our customers and suppliers have commented on how good the DrakeHUB website looks and navigate. We will send you our SEO Brochure and Case Studies to your email!